The Pocket pack is designed to fit in either the coat or the pants pocket. It can contain either 50' or 7.5 mm Kevlar over polyester rope or 3/8" tubular Kevlar webbing. 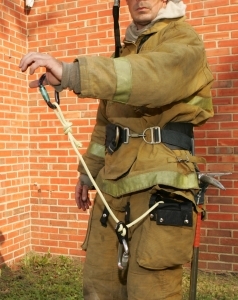 Also includes two NFPA certified carabiners and the RIT decent device. Call for pricing.